Dec. 7, 1941 and Sept. 11, 2001  those two highly recognizable dates have an essential meaning for us as Americans. And those dates have a special meaning in the West Family. I remember my Dad telling me about listening to the radio as a young man of 21 to the reports of the Japanese Imperial Navy attack on the U.S. Pacific Fleet base at Pearl Harbor. He, along with the entire nation, was alarmed, disturbed and angry. The global conflagration that would come to be known as World War II had been going on for two years. Dad told me that our nation was completely engaged, hearing of the Nazi German advances since 1939 and the conquests of the Imperial Armed Forces of Japan in Asia. Of course, as a young black man, Dad was aware of the racism of Adolf Hitler as he had refused to recognize the athletic triumphs of Jesse Owens during the 1936 Munich Olympics. And as things would come to pass, my Dad ended up being a soldier in our U.S. Army, and deployed to North Africa, the European theater of operations in WWII. Initially we suffered a horrendous defeat by the German Afrika Corps under the venerable Field Marshal Erwin Rommel. However, we ended up finding success in North Africa, and moved on to Sicily, and subsequently mainland Italy. It was there in central Italy, the Po Valley, that my Dad was wounded while running logistics dispatches. The important thing is that my Dad, Corporal Herman West Sr., did as many men of his era did. They answered the call of duty at a critical time when our nation was attacked. My older brother was inspired to join the U.S. Marines and eventually deployed to Southeast Asia to a place called South Vietnam. Lance Corporal Herman West Jr. was one of the Few, the Proud, a Marine Corps infantryman. Although there was no attack on our homeland, my older brother answered a call to service in what became an unpopular war. That is why we must all greet our Vietnam War veterans with the simple salutation of Welcome Home. My older brother was wounded at a place called Khe Sanh during the Tet Offensive of 1968. As our family tradition, legacy would have it, my dad challenged me at the age of 15 to be the first commissioned officer in our family. Dads dream came to fruition on 31 July 1982 at the University of Tennessee. I would also answer our nations call as a young Captain with the First Infantry Division in Operation Desert Shield/Storm. Much the same as with my older brother, we were called upon to protect and defend others. Then came the Pearl Harbor of our generation. It was the day that would live in infamy for us. I was an exchange officer to the United States Marine Corps stationed at Camp Lejeune, North Carolina with the II Marine Expeditionary Force (II MEF) when the day came. It was a September morning on Marine Corps Base (MCB) Lejeune. We had just finished morning physical training (PT) and were taking care of personal hygiene. I was dressing in my office when the phone call came from Marine Forces Atlantic (MARFORLANT) in Virginia. We were told to get down to the II MEF operations center, and there we saw it, the second aircraft hitting Tower Two. And then the report came of an airplane striking the U.S. Pentagon, in the Army wing, where a dear friend of mine, Brian Birdwell would be severely burned  he survived. I will never forget that evening sky over Swansboro, NC when I finally got off duty. There were no blinking lights. There were no sounds of jets overhead. It was still, eerily still. I ended up being selected to command an Artillery Battalion in the U.S. 4th Infantry Division. We deployed to Operation Iraqi Freedom in 2003. Two years later, 2005, I landed in Kabul, Afghanistan where I would serve as a Civilian/Military Advisor to the Afghanistan National Army. Could any of you imagine a U.S. Member of Congress, 18 years after the December 7, 1941 Pearl Harbor attack saying the same thing? What has happened in our country? And who are these people who would support this anti-American rhetoric? This is not about castigating people as racist because of their responses to what Rep. Omar said. Last time I checked, I am an American black man, who is angered by Rep. Omars statement. This is a person, someone, who should be removed from our House Foreign Affairs Committee, someone who should not be granted access to the classified information of this country. The West family has answered the call to duty and continues to answer the call to service of our nation. My Nephew, the son of my oldest brother, is a U.S. Army Major with multiple combat deployments, and yes, two to Afghanistan. Rep. Omars words disrespect the memory of those who were killed on September 11, 2001, along with those called to duty to defend our nations honor against the enemy she refuses to name. That should offend us all. 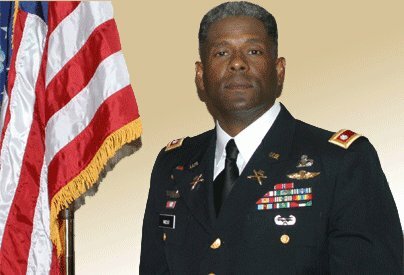 Very well said, LtCol Allen West! This Veteran (and son of a Vet, Grandson of Vets, nephew of Vets, and Dad of Vets and also Uncle of Vets) is not only highly offended, also quite reasonably called into question is just where omar's sympathies just might lie. A thorough explanation, far beyond a major apology, is in order. Rashida Talib, Ilhan Omar, and Alexandria Ocasio Kotex are all providing stellar fodder for 2020 campaign ads against these vermin. Then throw in Spartacus Booker, Uncle Bernie, Beto the fraud, and Knee Pad Harris. I remember that day clearly! This is not about racist because responses to what Omar said. Last time I checked, I am an American black man, who is angered by Rep. Omars statement. This person should be removed from our House Foreign Affairs Committee, who should not be granted access to US classified information. defend our nations honor against the enemy she refuses to name. That should offend us all. media bias and writes daily commentary on his personal website theoldschoolpatriot.com. Six years ago today in Boston, some people did something. ..
Yep, two more of the someone muzzies. Excellent! I really wish he had had a political career after retiring, but they - the left and the GOPe - absolutely hated him. Too intelligent for them, I suspect. Too intelligent, too patriotic and too much common sense for them. AMERICANS are offended by Omar. The list you mentioned are democrats. There’re Americans... and then there are democrats. Thanks. I was going to respond with words to the same effect. Brother Dawg, good to hear from you! Woof!